Herbs | how do you like them green apples? So it turns out that this “end of the year thing” is an actual thing! We have created such a monotony with our culture of work and school in one straight line that we all collectively collapse and need a break!… and so we invented Christmas holidays, or whatever the excuse. Whatever it is- I’m down with it! I haven’t had a break since this time last year, and I don’t know about you- but I’m needing one. So… until you can be on your couch watching movies, or in a hammock with a drink in your hand- OR if you are one of the poor dears working in the many shops, restaurants or community service industries that get PUMPED about now: here are my top tips for those who can’t muster another drop of blood from the stone. B vitamins- I’m not talking effervescent tablets that turn your pee yellow here- I’m talking good quality, therapeutic doses of the little cogs that make the wheels turn. Many good quality B vitamins on the market are now containing the “activated” forms of many of the B’s, including B6 and B9. The good thing about activated Bs is that your body can slot them right in to do their job without converting them. B vitamins become depleted when we are stressed or have been burning the candle at both ends and can contribute to anxiety and fatigue. Definitely a good place to start. Magnesium- Often referred to as the great relaxer, magnesium is a mineral which is easily depleted if we consume caffeine, alcohol or a diet high in processed foods. It’s necessary for the production of serotonin and in other nervous system processes, as well as being important for the relaxation of muscles. This makes magnesium ideal for those of us who suffer back/neck pain or tension headaches associated with stress. It is also appropriate for those of us who have been under stress long term, as this can deplete our reserves of magnesium and make it harder for us to cope. Adaptogens- This is what we call herbs which are supportive to the adrenals, which help to support the stress response, and help achieve our resting state when the body gets stuck in fight or flight mode. They will often give you a boost of energy and over time will help improve your sleep. These include: Rhodiola, Siberian ginseng, Korean ginseng, Withania, Codonopsis, Rehmannia, Schisandra. Some of these can be a bit too stimulating if you are feeling nervous or strung out, so make sure you check with your naturopath about which is the best for you. The oil, the tea, the tincture- the very sight of Lavender restores calm. 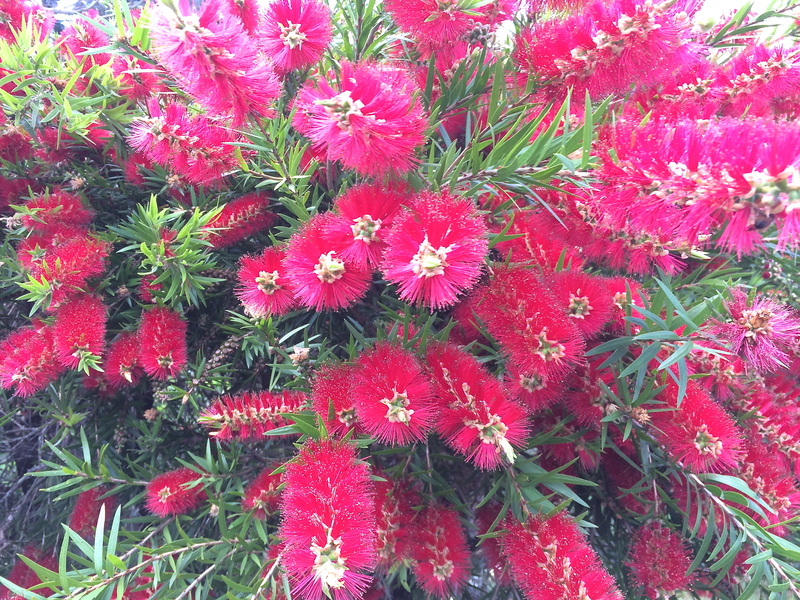 I adore this plant. Sedative herbs- These WILL make you feel tired if you need to chill the *f out in a hurry and also if your adrenalin/cortisol pumpin’ is keeping you up at night. They can be used acutely to turn down the volume. They include the herbs mentioned above in larger doses and/or : Valerian, Zizyphus, Skullcap, California poppy, Lavender, Kava (deserves a second mention) and Mexican Valerian. *always make sure you tell your herbalist if you are on any prescribed medication- especially anti-depressants as this may mean you need to avoid some herbs. California Poppies grow native where I’m from on the west coast of North America. Certain times a year they transform the bushy hills into oceans of orange. Lactium– A product based from milk protein- it increases the activity of a relaxing neuotransmitter in the brain called GABA (gamma-amino-butyric acid). Many studies have shown that Lactium can help reduce the emotional experience of anxiety and panic, as well as the physical symptoms of stress like increased blood pressure and insomnia. Therapeutic doses of lactium are available in tablets or drinking powders and a typical dose is between 150-300mg. You can use it any time of the day when you need to take the edge off or as a relaxing night cap. Lactium also has the benefit of being safe with most medicines and in pregnancy/breastfeeding. L-Theanine- This is an amino acid found exclusively in leaves of Camellia sinensis or tea. This includes green tea, black tea, bancha, and matcha teas amongst others. It suppresses the effects of the stress hormones, glucocorticoids, and enhances the more uplifting hormones serotonin, dopamine. It can also makes us sharper- helping to improve attention span, memory and concentration. But while L-theanine improves energy and gives us a lift, it also promotes quality and restful sleep. It can be taken in supplement form for a therapeutic benefit when stress levels are running high. However, most of us can use a cup of tea on a regular basis to recharge. Exercise-More and more studies are emerging proving that people who exercise are happier and able to cope better with stress than their sedentary counterparts. In fact some studies show that exercise can be as effective as medication for some people in treating anxiety and depression. Even a brisk 10 minute walk can be of benefit and the more regular you can make your activity the more these effects will build up over time. I’m in no way a naturally sporty person- but I’ve found that a 45 minute session 3 times a week keeps me on top of things and I can really feel it when I fall out of the routine. When we are busy and stressed, it’s easy to feel like we don’t have time- but exercise should be a priority now, as the increase in energy and focus it provides actually becomes a time saver in the end. Food and Water- Classic “busy” behaviour can be skipping meals and drinking excessive diuretics (caffeine and alcohol). Being low blood sugar and/or dehydrated can aggravate anxiety and so being mindful of these things is important to keep things on an even keel. Reduce simple sugars and carbs which tend to fluctuate our blood sugar, and instead opt for protein rich meals and snacks (think animal proteins, nuts, eggs, and good quality protein supplements). Carry a water bottle so you can keep track of how much you are drinking and make sure you are getting 1.5-2 L of fresh, plain water per day- especially if it’s hot, you’ve been exercising or taking diuretics. We all deserve a rest after a busy year of family, work, and life commitments, but if you’re still caught in a maze and it’s all head-down-bum-up, maybe use this information to think about how you might better support yourself to be your best and enjoy your busy-ness. To find the satisfaction in being on top of your game, and if not a well oiled machine, one that is at least not squeaking and rattling in to the new year. Put a little more in and you’ll get a lot more out. Happy holidaying everyone! 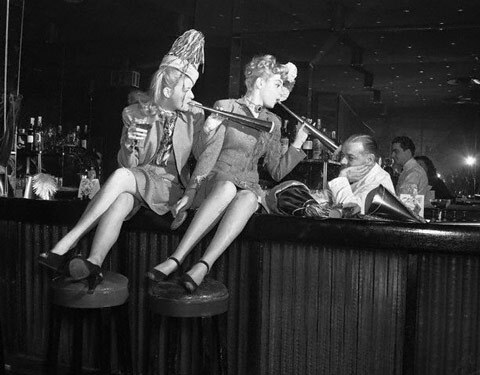 Food-babies and Hangovers: Happy Holidays everyone! These are the tips you can employ before and during a period of indulgence to help prevent the unpleasant side effects that we know all too well. You may know a lot of these already- but here they are, in case you need reminding or convincing. Don’t drink on an empty stomach- If you know you’re going to be heading out for drinks, make sure you have a proper full meal before hand. This slows down the absorption of alcohol and being full may slow down your drinking. Also, pick your poison. If you know you have a sweet tooth and you won’t be able to resist the rum balls, pavlova and shortbreads- make this your main indulgence, and limit alcohol at this sitting. Alcohol is also full of sugar, and aside from the sugar it contains- part of the process of breaking down alcohol results in an increased amount of stored sugar (glycogen) being broken down in the liver, which sends your insulin through the roof and stresses your pancreas. If you’re going to a cocktail party or can take or leave desert, restrict your intake of sweets and other starchy carbs. Opt instead for extra servings of protein and veggies either way you go. Protein will slow down the absorption of sugar and reduce the insulin surge and subsequent crash- which also contributes to feeling off centre the next day. Take care to hydrate before you go out- Starting off a night having had enough water and electrolytes is going to definitely put you at an advantage of avoiding some of the symptoms of hangover. When we are recovering from drinking, our body tries to regain it’s optimal fluid balance. One way it does this is with electrolytes. It retains sodium and expels potassium, which then plays a role in our blood pressure (increasing headaches) , and causing fluid retention. Coconut water is naturally high in potassium and can be drunk the day before a party and the next day to help with recovery. Natural based electrolyte/rehydration formulas are also a great idea and can even be drunk during the evening. Have them on hand for the next day too. Stick to clear spirits- If you know you are particularly prone to hangovers, substances called congeners could be aggravating you even more. These are byproducts of the fermention process, found in greater quantities in dark coloured spirits (whiskey, rum, brandy). Preparing your body for the holiday season, if you know you’re going to let your hair down, is one way to avoid being knocked around. Supporting your organ function and making sure your nutritional status is optimum is the way to cultivate only happy memories. Protect your gut- I did a recent post on how to look after our digestive systems, here, and it would be a good time to do a refresher. Wether it’s too much feasting or too much merry making- protecting and supporting digestion is so important. Alcohol is a major irritant and can increase stomach acid production- so protect your delicate mucous membranes with soothing demulcents like Slippery elm powder and,or aloe vera juice. Probiotics help prevent the growth of our less favourable organisms, including candida, when we’re eating and drinking too much sugar. Digestive enzymes can be helpful if you are some one who suffers from bloating, or indigestion after meals or who feels uncomfortably full. You may need a little support in this area generally but around the holidays, it’s going to be especially important. Support your liver- This is where all the magic happens. Once alcohol is absorbed from your digestive system, it’s on up to your liver to process- where it does it’s darnedest to transform the very toxic acetaldehyde your margarita has become to less harmful acetate. There are a few main enzyme players in this process, one of which is called glutathione , an amazingly potent antioxidant that contains high quantities of the amino acid cysteine. If you are drinking too much alcohol, or if you don’t normally consume much alcohol and go on what is called a “binge”, you don’t have the enzymes handy. Either you’ve used them up, or you don’t normally need as much as you do on this occasion, so you aren’t prepared. You then end up with a toxic overload of acetaldehyde- which is poison. It contributes to much of the hangover experience. Women also naturally produce less of the enzymes needed to break down alcohol, which is why women and men of a similar weight may have different blood alcohol effects. N-acetyl cysteine (NAC)- This is a form of the amino acid cysteine- which as we mentioned is an important component of glutathione which helps to detoxify alcohol. Take it immediately before drinking or during the holiday season to support your liver. B vitamins- While the research on whether B vitamins help with the symptoms of hangover are not supportive of the claim- We do know that B vitamins are an integral part of the liver’s enzyme formation and detoxification process. So your fizzy B tablet or similar isn’t a waste of time. B vitamins can also give us a lift, which many of us are sorely needing the day after a big night. 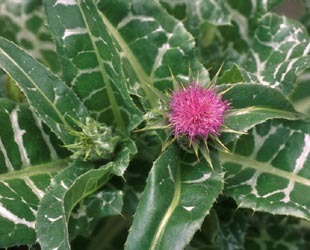 St. Mary’s Thistle- This is the main ingredient in many herbal liver formulas, the gorgeous herb Silybum marianum. This is a powerful ally of the liver helping to increase glutathione production. It also protects the liver from the toxic effects of alcohol by acting as an antioxidant, and has even been found in studies to reverse fatty liver. It is the #1 go to if you want to treat your liver right, and the best way to take it is for the duration of the holiday season as a general tonic. Tablets are fine and there are many good quality one-a-day formulas out there containing about 15,000 mg of the herb, which is what you’re after. Zinc- Zinc has been clinically found to reduce the toxic effect of alcohol on the liver. Zinc is also depleted from the body when drinking, so it is absolutely necessary to replenish your reserves, as zinc can be quite tricky to get in the diet (main sources include organ meats, some whole grains, oysters and pumpkin seeds). Take a good quality zinc supplement (best forms include citrate, piccolinolate, or amino acid chelate) throughout the season, or take one before retiring for the evening with a nice tall glass of water. OOPS! I’ve managed to get hungover anyways!!! Don’t despair. Pretox protocols in place, keep up the good work the day after a night out. There are few other tricks you can have up your sleeve while you’re sipping away at the coconut water. Nux vomica– Whether it’s a food-baby or a hang over, Nux vom is the homeopathic first aid for over indulgence. The symptoms you might have include: Headache or migraines triggered by food or alcohol; sensitivity to light, odours and noise; nausea and/or vomiting; dry retching (so awful), and undigested food which “sits like a rock” in the stomach. Eggs- You crave them because you know you neeeeeed them! Eggs are naturally high in cysteine- so yes, the cafe breakfast is a good idea- GO! Don’t overdo it on the coffee though- you may think it’s what you need, but it’s not. Just one cup to avoid more dehydration and havoc on your liver and kidney. 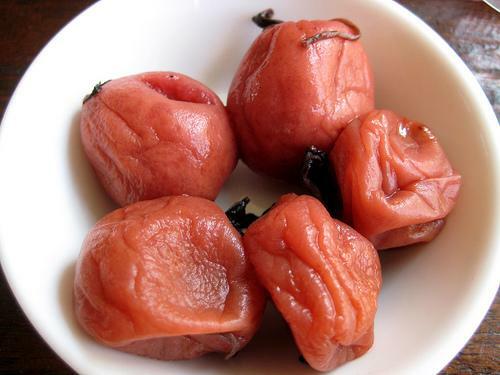 Umeboshi plum- This is a medicinal food coming from the macrobiotic tradition. It is a japanese plum which has been salted. It’s quite a wonderful idea- the plum never ripens but falls off the tree and rots. People believed there had to be a purpose to this fruit- as nature makes nothing by mistake- and so began to pickle the unripened plums. It therefore combines perfectly opposites- unripened fruit (yin) and salt (yang). It is believed to balance you out which ever way you need. I don’t know if all that is scientifically true- but the stuff makes you feel great. Either eat the plum neat (it’ll blow you head off it’s so salty- but kinda cool), or drop a plum or a spoon of the paste in a cup of boiled water and sip. It really does bring you back to earth, whatever it is you are suffering from. The electrolytes from the salt are also beneficial. These crazy shrivelled up looking morsels might remind you of all kinds of odd things- but let me tell you, they taste like nothing you’ve ever had. Used as a condiment in Japanese cooking and a powerful medicine in macrobiotics. Soups- Think miso and bone broth. Miso for reasons similar to umeboshi and bone broth is a nutritive elixer for the gut, as I’ve discussed before here. Sleep and rest- Hopefully you’ve been civilized and planned to party when the kids are at the grandparents or you have a whole day off. Your body didn’t really get much proper resting done last night while it was in full out damage control dealing with the mess you’ve made. You have heaps to catch up on. I’d be a big liar if I didn’t say I hadn’t had my fair share of ails associated with over indulgence. 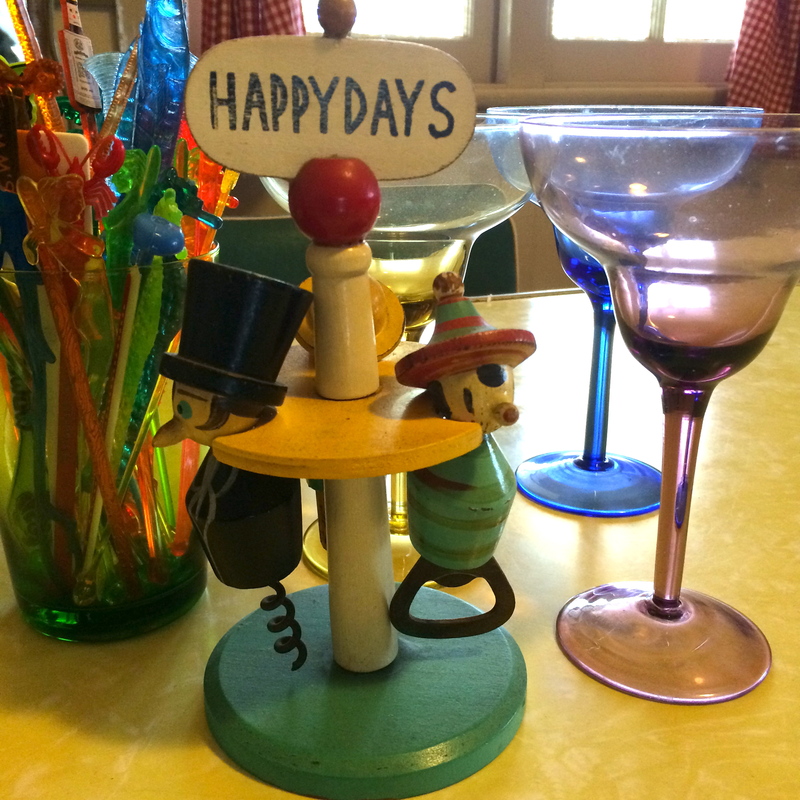 And I’m happy to say, that while the hangover or the gut ache were unpleasant, they were usually associated with some wonderful times with friends and loved ones- connecting, celebrating and having a laugh. This is what life is about! We aren’t just here to preserve our machine- we are here to USE it. So don’t be afraid to let your hair down and enjoy yourself. But it does help to know your bodys’ limits, and practice a bit of pre-tox and detox along the way. What “moderation” is exactly, is a bit fuzzy and depends on what country you live in and who your doctor is. I’ve read between 2-4 drinks max per day for men, and 1-2 drinks per day for women. And that doesn’t mean EVERY day either. You should have regular alcohol free days. Below are a few resources I found interesting on this topic, if you want to work it out for yourself. How annoying is hay fever??? How annoying is hay fever? Just when you’re basking in the warm weather, and frolicking in the beautiful flowers, BAM! It goes and spoils everything. Also called “Allergic rhinitis” or the “rose cold”, hay fever is basically, your hysterical immune system mounting full retaliation against a benign passerby- usually pollen, dust or animal dander. When it happens seasonally (usually the spring) you can safely bet that some one, some where, is pollinating and it’s getting up your nose. Symptoms can include sneezing, watery eyes, swelling and inflammation of the nasal passages, increased mucous production and hives. It can disrupt your sleep and make you look and feel awful. Aside from all these delightful symptoms, allergy sufferers can also have unpleasant mental and emotional symptoms. In the past, it was believed that allergy exacerbated underlying mental conditions, and yes- this is true. But we are now beginning to understand there’s also more to it than that. A growing body of research which seeks to understand how the allergic response affects the body’s nervous system, is finding that allergies can be the CAUSE of many emotional symptoms, including panic attacks, compulsive behaviour, depression, irritability, mental fog and anxiety. So, if you’re a hay fever sufferer, and you are in the depths of feeling both physically and or emotionally unwell- time to get on top of it! Many people depend on antihistamines throughout the allergy season to get by. They can provide that instant acute relief that is so desperately desired. But they can come with some negative side effects like: sedation, impaired motor function, dizziness, dry mouth, blurred vision, urinary retention and constipation. But even if you aren’t someone who experiences side effects, you might want to reduce your use of pharmaceuticals, especially if your allergy season is longer than a few days. Luckily there are many natural things that can help- without negative side effects and by addressing the cause. The best time to treat hay fever is when you don’t have it It’s a lot harder to treat your immune system when it’s having an acute flare up. The best time to modulate it’s activity, is when you’re not being triggered. This is why knowing WHEN you experience your hay fever is helpful. For example if you’re an early spring type hay fever person, best start your treatment end of winter, a good 6-8 weeks before you would normally begin experiencing symptoms. Natural treatments aimed at the immune response (the cause) will have a greater success at preventing the earlier you start. This is especially true for people who suffer badly (though natural treatments can still help once the season is on). If your hay fever is a mild annoyance and comes and goes, you’ll likely have great results even treating during the acute phase. Saline nasal sprays, gels and Neti pots– Also called “nasal irrigation” These are especially good for people who are chronic suffers of sinusitis and congestion. Used daily they can help tonify the mucous membranes, expel mucous, and reduce inflammation. Many people find them invaluable in managing their symptoms, and using the Neti pot in the shower once a day is the easiest way to incorporate it in to your routine. You can find Neti pots at most pharmacies these days with full instructions on their use. Saline nasal sprays work similarly, the gels rubbed in to the inside of the nostril can even help by trapping allergens as they enter. Bee products– Eating bee pollen and raw local honey may also help prime the immune system so that it copes better with environmental pollens. This is one of those treatments that is best started well in advance of the hay fever season. Bee pollen is also an excellent source of nutrients and can be put in your smoothie, muesli, yogurt or just eat it off the spoon- about 1 tsp per day is recommended. NOTE do not take bee pollen if you are allergic to bees. Medicinal Foods- Foods that when consumed regularly can help reduce hay fever symptoms include: Onions/garlic, Horseradish, Kiwi fruit, Pineapple, Ginger, and Tumeric. Onions in particular are high in a bioflavonid called Quercetin- which in high doses can be extremely helpful in treating hay fever. Red onions are the highest source, and I love to make a medicinal onion/garlic syrup using red onion and garlic to treat hay fever but also coughs/colds. Stay tuned for my recipe in a follow up post. You can also take Quercetin in a supplement form if you prefer. 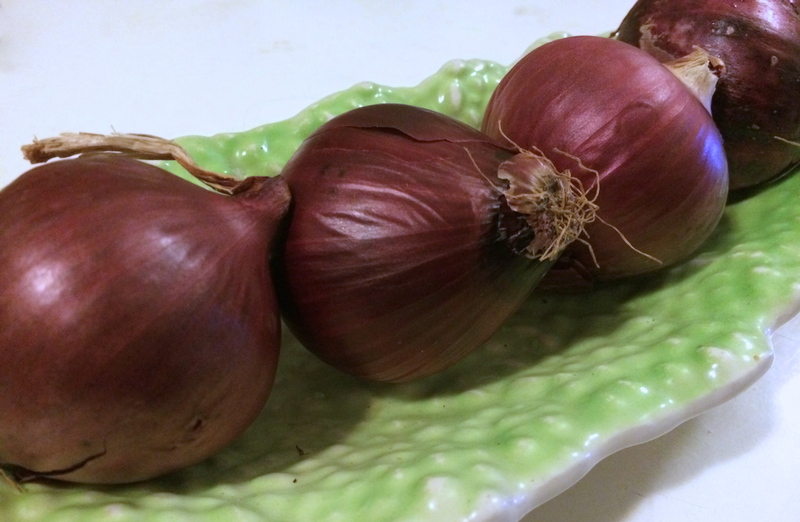 When using red onions as a source of bioflavonoids- we want to chose the darkest coloured ones and use the outer darker rings of the onion (not the dry skin) – as they have the highest concentration of these beneficial nutrients. Probiotics- The role of the gut in the immune response can not be understated and often in cases of allergy there is a gut component, even if the person is unaware. There are some strains of probiotics available that have been proven with clinical trials to reduce the severity of hay fever symptoms. If you are someone who expects to be having hay fever regularly throughout the season, gut health is your first line of defence. If you know you have gut issues and you also suffer hay fever, best get in touch with your naturopath and treat your whole body to get the best benefit. Avoiding certain foods- Our mucous membranes can operate a lot like a light switch. Mucous gets turned on in one place, it gets tuned on everywhere. This is why it is so important to avoid foods that trigger mucous production if you are suffering from sinus symptoms. These are: ANY FOODS YOU KNOW YOU ARE SENSITIVE TO, sugar, alcohol, dairy, and wheat. Some people may also include the inflammation promoting nightshade family (potatoes, tomatoes, capsicums and eggplants) and also things like bananas to the list. Oh- and while it’s not a food- it goes without saying that smoking is terrible for hay fever. Herbs- There are so many wonderful herbs out there that have their own unique qualities in the treatment of allergy, both on the immune level and on the respiratory system level. This is just a very short list of my favourites which I use regularly in practice- and also ones you’ll see often in most commercial formulations. Albizia (Albizia lebbeck) – This is one of the herbs you’ll get in some of the better “Hayfever” formulations either over the counter or by prescription from your naturopath. It works by quieting and reducing the severity of your immune system hysteria. Baical skullcap (Scutellaria baicalensis)- This herb will often be found in combination with Albizia, and it is also considered an antiallergic, by working on the immune system directly. However, it has added bonuses of being an excellent anti-inflammatory, anti-bacterial and also a bitter tonic. Bitter herbs help to stimulate digestion and liver function- also addressing some of the potential underlying causes of allergy. Perilla seed (Perilla frutescens)- The seed extract is has been found in clinical trials to reduce leukotriene synthesis. Leukotrienes are chemicals associated with allergic and inflammatory disorders, including hay fever, asthma and inflammatory bowel disorders. So less of them is a good thing if you are suffering from allergies! Golden Rod (Solidago virgaurea)- One of my absolute favourites to use in acute hayfever or sinusitis, this herb helps to relieve mucous production, is anti-inflammatory and antiseptic. Perfect for those who tend to infections of their sinuses when allergies flare. Eyebright (Euphrasia officinalis)- This herb is also used acutely, and helps to astringe and tonify mucous membranes of the sinus. Elder (Sambuccus nigar)- Always included in a sinus mix, this is a herb par excellence for congestion, and deafness associated with congestion of the sinus. Use it equally in the common cold as in hayfever and allergy. Golden Seal- (Hydrastis canadensis)- One of those herbs that really covers all your bases. It’s a powerful anti-microbial, helping to stave of infections, it’s a top notch tonic for the mucous membranes, and at the same time a potent bitter digestive stimulant and support for the liver. Perfect in any sinus mix. Horseradish- (Armoracia rusticate)- Funnily enough, I don’t use horseradish as often as the herbs above in my mixes- though with the marketing of the “Garlic, horseradish and vitamin C” formulations that most vitamin companies do a version of- it’s impossible to leave out. And it really shouldn’t be left out, as anyone who’s ever eaten wasabi will attest. 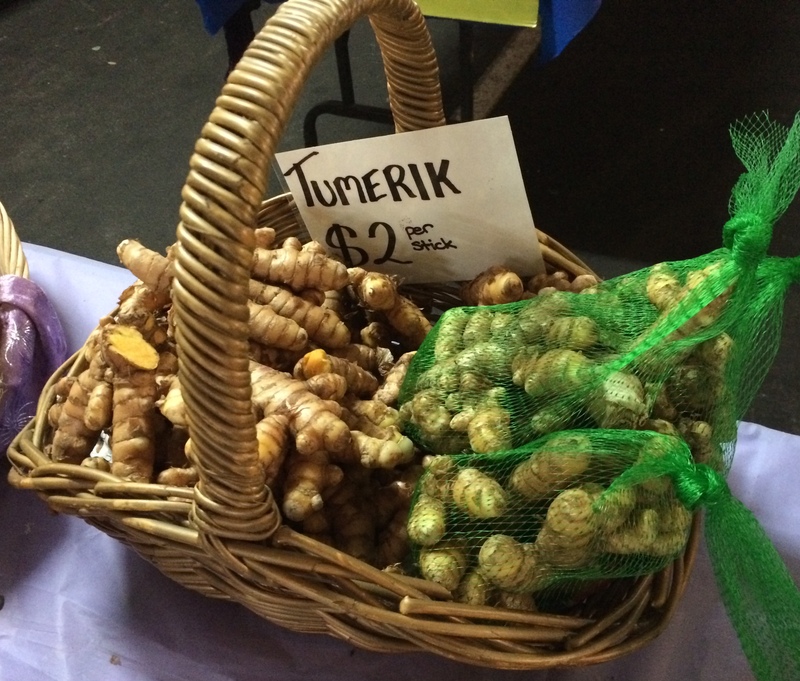 This is a powerful herb to clear the sinus and help relieve pressure. Nettle leaf (Urtica dioica)- This one isn’t as commonly prescribed treatments for hayfever, and really is more of the “long game” approach- though very effective, cheap and with overlapping benefits. Nettle tea, drunk everyday as your regular cuppa- (mix with peppermint or other if you want to jazz it up)- can offer many long term and powerful benefits. In this case I think of waves washing against a rock face for many years, eventually making a deep impression in it’s surface. It’s not the power of the individual lap that does the work, it’s the cumulative effect over time. Much of what we can achieve in natural therapies is this kind of gentle power. Nettle leaf is highly nutritive- full of minerals and blood purifying chemicals that make it a gentle nourishing detoxifier. It calms and cools the over heated and irate system. I have personally seen the profound effect 1-2 cups of nettle tea per day can have on a persons health. So much so, I’m inspired to get the kettle on RIGHT NOW. Allium cepa- This is homeopathic onion. What happens when you cut an onion? Burning stinging watery eyes, nose runs clear water discharge. This is the kind of hayfever we use Allium cepa for. The watery discharge can be quite burn-y as well, and may make the skin of the nose and upper lip red and raw. There is much sneezing and headache. A very common hayfever picture and a particularly fantastic remedy if this sounds like you. Sabadilla- I personally use this remedy during allergy season. It’s key symptoms are: crazy sneezing fits, and that itchy feeling right in the spot where your ears nose and throat meet- that spot you can never reach which makes you pull on your ears and rub the roof of your mouth with your tongue. So annoying! There can be watery discharge from the nose and also congestion. You may also have burning eyes. Natrum muriaticum- This is hay fever worse from being outside and the wind. The nose is running, both clear and also thick like egg white, sinuses can be congested. There’s a lot of sneezing in this remedy and cracked lips or splits in the corners of the mouth. In hay fever, it’s often found in a tissue salt form, and sometimes in combination with other minerals that are helpful in hay fever. I find them very effective. Euphrasia- This is the homeopathic medicine of Eyebright. As the name suggests, eye symptoms are predominant- inflammed, irritated, red and burning. There can be crusts around the eyes in the morning and may also be indicated if there is conjunctivitis, especially associated with allergy. Lots of clear runny mucous from the nose and sneezing. Pulsatilla- We use this remedy when there are itchy irritated eyes, which are better for cold applications. Nasal mucous can be clear to green, and sinus can be infected. The person is always better for fresh air- though in the case of hay fever this may be air-conditioning or a fan- as the pollens out side may irritate. Do you relate to one or more of these remedies and can’t chose? It might mean you need more than one of them at more than one occasion- or one not mentioned here. Make an appointment with your friendly local homeopath to set up a treatment strategy. 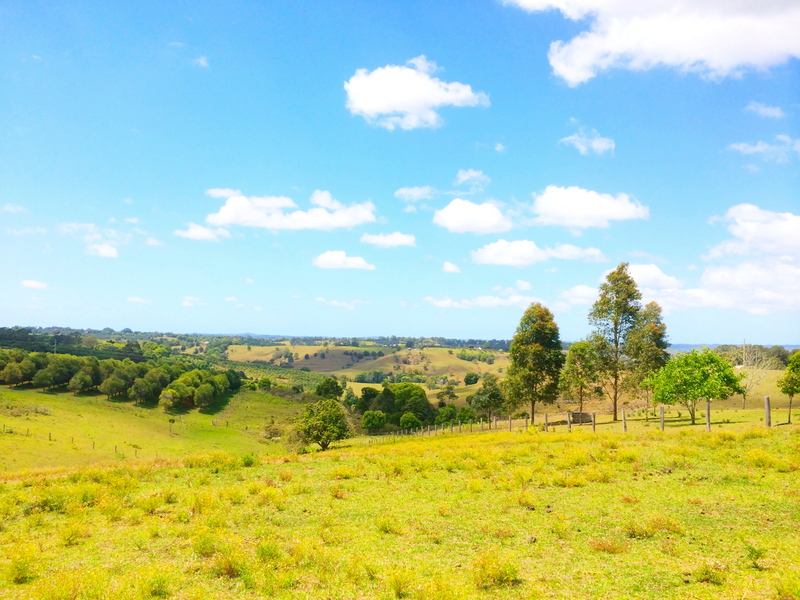 Even though we are now entering hay fever season in the southern hemisphere- it’s not too late to get on top of things, and maybe we’re even more motivate to increase our awareness and understanding hay fever so that next year we can be more on to it. For those in the northern hemisphere, you have a couple of months before you have to start preparing seriously- but you can still get in to a routine of nettle tea and bee pollen daily- which can do so much for your wellbeing all year round. So what is winter good for? For remembering things like jeans and woolen coats and for craddling cups of tea like your whole body could soak up the heat radiating from the little vessel in your hand. Below is a bit of a winter survival guide, for those of us who don’t come alive in the cool (there are those of us out there who do), who feel diminished in their energy and who maybe need a bit of support staving off colds and flus which can get us when we’re down. Vitamin D- Vitamin D isn’t actually a vitamin, but a hormone, which we produce in our skin from exposure to sunlight- and to a lesser extent from specific foods. In the past, there was this notion that we got enough vitamin D from our daily activities. Unfortunately, our daily activities have changed somewhat since we stopped spending most of our days living and working out doors, and well… wearing clothes. Also, the recent change in our ozone and the suns quality has made many of us avoid the sun all together, wearing hats and protective clothing, and sunscreen all the time. Vitamin D is a major player in our immune health, and long ago, it was believed that if you got skin cancer- from too much sun exposure- you were protected from other often more deadly cancers because your vitamin D status was so good. And while we don’t want to trade one for the other (we know some skin cancers are extremely deadly) it has been found that vitamin D status is linked to many kinds of cancer, specifically bowel and breast, and other auto immune conditions such as MS. Vitamin D deficiency hasn’t been taken seriously, and with up to an estimated 58% of australians apparently lacking, we need to take note. There are acutally so many things Vitamin D is important for- I’ll do an entire blog devoted to the subject later… however in the case of winter time reduced sunlight exposure, change in the angle/direction of the suns rays effecting absorption of UV light, and our extra layers of clothes and hiding indoors- we need a boost to keep our immune systems primed. If you’d like to try to get it the old fashioned way- it is believed that around 15 mins of exposure, in the middle of the day, while NOT burning is ideal- trying to expose as much of your body as possible. Now, if lying around in your bikini in 5 degree weather isn’t your thing you can try Cod Liver oil- a source of vitamin D -and Vitamin A as well as omega 3 fatty acids, OR a vitamin D supplement. Most on the market these days are vitamin D3 or cholecalciferol- the active form of vitamin D. 1000 ius (international units) is generally considered safe and many of the trials done showing the benefit of the vitamin have been done with this dose. A vitamin D test can be helpful establishing if you’re deficient, and then your doctor or naturopath can recommend a dose specific to you. Vitamin D is a fat soluble vitamin, meaning it stores in your fat tissue, so making sure you aren’t taking in too much is also important. Having your levels tested can make sure you aren’t over dosing. 1000-3000 ius is generally safe for the run of the mill inside living, clothes wearer. I back off or reduce dosing in the summer months. Also kids need a specific dose and for this it’s best to consult your practitioner. These are substances with protective effects on the body- by stabalizing free radicals and toxins, and supporting the immune system so that it an do it’s job more efficiently. 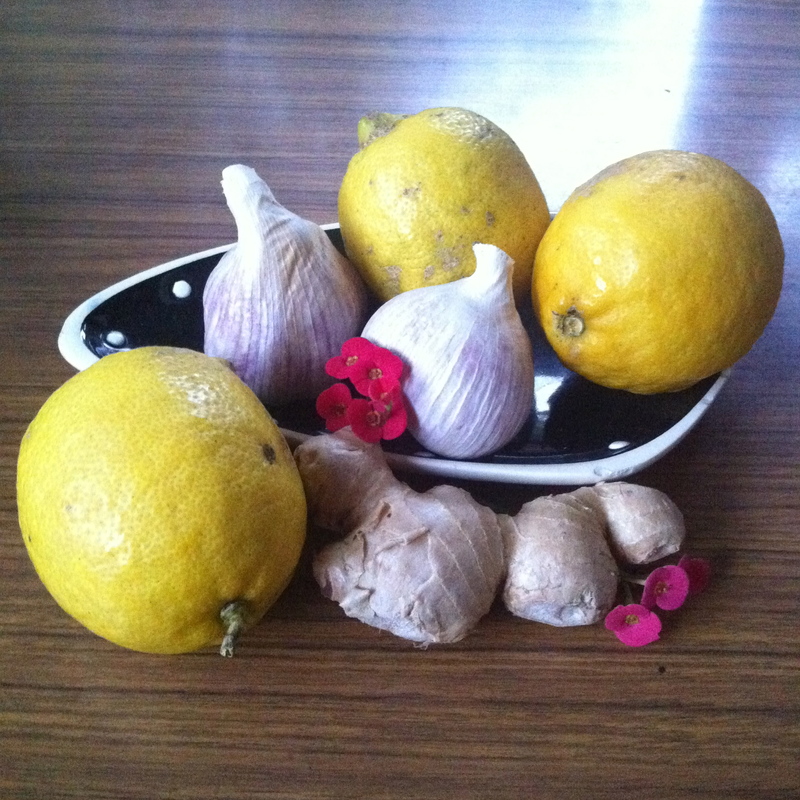 The two winter favourites to keep colds at bay are Zinc and Vitamin C. Out of the 2, I rate Zinc the highest- as it’s often tricker to get from the diet (main sources include organ meats, oysters, pumpkin seeds and whole grains) and I have found it excellent in practice- both keeping colds away and in acute treatment. There are a few zinc supplements out there which have both vitamin c and zinc in them- and these are often a good way to go so you are getting the two. I usually take double the recommended dose in acute infections, just for a few days- to really make sure you get a good hit. Take the doses a few hours apart for better absorption and longer action. I do take zinc regularly through the winter, though I avoid taking Vitamin C as a regular supplement and prefer to get it from my diet. Diet is always the best way to get your antioxidants. Echinacea- Echinacea is usually best used as a preventative and in the first stages of cold or flu. If you aren’t taking it daily through winter in your tonic mixes- try it that first day you feel a little off, or the first tickle in your throat. That’s when Echinacea shines. It is also has an action on the lymphatic system and is ideal if you are someone who suffers from tonsillitis. Good quality Echinacea should give your mouth a tingling sensation after taking it in a liquid tincture. 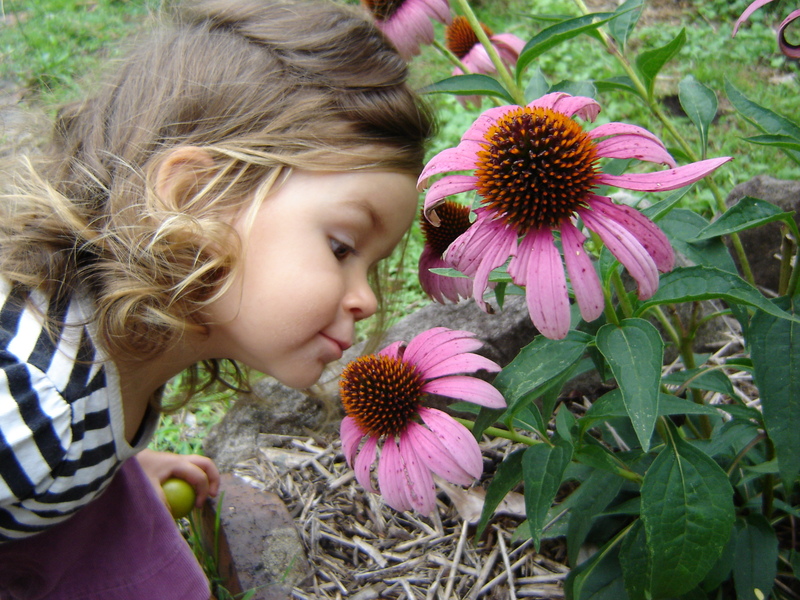 here’s a picture of my little lady a couple of years ago in our garden- Echinacea produces the most beautiful flowers. While you can use the flowers and leaf as a tea, it’s the root that holds the greatest immune powers. Olive Leaf- I often combine Olive leaf with Andrographis and/or Echinacea for prevention or treatment in colds and flus- and I know there are a lot of great fresh leaf liquid extracts on the market that people swear by as a preventative tonic throughout the winter months. Elder Berry- Elder berry is a fantastic herb for the head cold. I love using it when there is sinus congestion, a general rotten-ness all over, maybe even a slight temperature. It’s also great for children, and there are a few on the market in liquid and powder form which taste great. -Slice gently into it with your nail or a knife so that you’ve made a cut, enough for the oil to seep out slightly-squeeze the bulb slightly to bruise it. -Put in the infected ear so it’s sticking out like a plug. Be careful of course not to insert it too deeply- it should be sticking out of the ear and only just inside the first bit of the canal- don’t go getting it stuck in there or piercing the ear drum- ok?! This is a great way to get a local antibiotic effect for mild ear ache, and it really works. Try it- you’ll be surprised that in 10 mins you’ll have a garlic taste in your mouth, it goes through your whole head! Propolis– A resin made by bees to decontaminate themselves before entering the hive, it’s strongly antimicrobial, and excellent for the throat. 1 or 2 mls diluted in water, enough to gargle and then swallow, 3-4 times per day. Medicinal Mushrooms- Common names for some include Turkey tail, Shitake, Caterpillar mushroom, Reiishi, zhu ling and fu ling. A real favourite of mine these days there are quite a few ways to get these immune boosting powerhouses- capsules, powders and liquids- quite a few different companies are making great formulations. They are amazing, with the benefits too numerous to list here- but I use them in practice for people recovering major infections such as Ross River fever, chronic fatigue, to support people with cancer or in recovering from chemo and even in the humble common cold. Especially good for kids who are prone to getting sick, and chronic/on going lurking infections of the sinus or chest. Talk to your practitioner about the supplement best for you. Kids usually take a very small dose and in powder or liquid and so it’s easy to hide them in drinks and foods. If you want a great way to improve your immunity- improve you gut flora. Not only is a healthy gut the first line of defence in our immune system- but secondarily-a healthy gut is more likely to absorb nutrients and expel wastes efficiently which is only going to support overall health and a robust immune system. There are a few strains of bacteria which are clincally proven to improve immunity- and they’ll be marketed as such- but good quality, potent probiotics are all beneficial and should be part of your overall health routine. If you do end up needing a course of antibiotics- remember to take your probiotic supplement along side to keep the gut environment stable, and reduce side effects, as well as taking them after to recolonize the gut flora and support recovery. Winter is the season where I can’t help but abandon a lot of raw foods, smoothies and juices. Not entirely- but the emphasis changes. It’s the time of year that I feel like cooked food is good for me, and I love the slow cooked soups and stews, bone broths and roasts. I’ve already gone on about the virtues of bone broths – and winter is a perfect time to employ their medicinal actions. By nourishing the gut we are nourishing our immune system. The beneficial bacteria in our gut flourish and the integrity of the mucous membranes is strengthened. There’s a reason chicken soup is known for curative powers… and that is STOCK. Some sources say a good chicken stock needs the feet in it… which I’ve yet to try. Stock needs to made from scratch- no cubes or tetra packs allowed. It must be thick like jelly and smooth like velvet in your soup of choice. 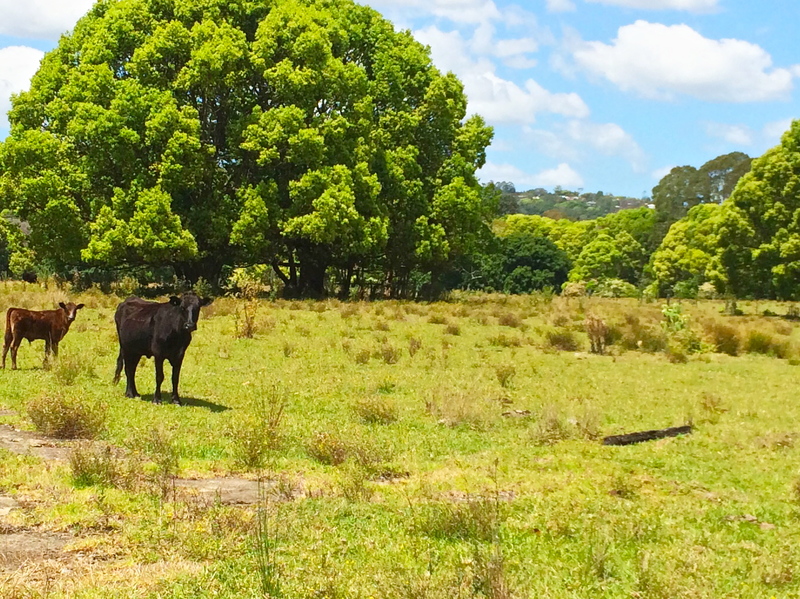 Always use organic, or free range/chemical free and grass fed animals for your stock. Miso is something to consider adding to your broth as a well, a dark miso is appropriate for the cold, and macrobiotics and other systems of eastern medicine the salty quality is considered yang, which is balancing to the body when confronted by cold. Chicken soup with miso and shitakes is a favourite of mine. Lots of green veggies added at the end, and I love to add Arame seaweed too. Stir in cooked quinoa for added texture and protein. People are often going on about drinking orange juice for a cold- which I suppose is because of the vitamin C content. It’s pretty much a standard home treatment. I would suggest though- that instead of orange juice- which is both cold and sweet – two things which are not suitable for the sick body- that you go instead for the hot lemon. You can put a spoon of honey in it to taste, and even better is also adding a bit of ginger, which will mobilize circulation and also warm you. Finely chop the ginger and put in the tea pot with the juice of a lemon- pour in the boiling water and let sit for 10 mins under your tea cozy- or alternatively bringing a sauce pan to simmer and let the ginger simmer there for 10 mins, then pour the tea in and add the lemon juice or just drop in the half a lemon whole. Honey to taste. Perfect! 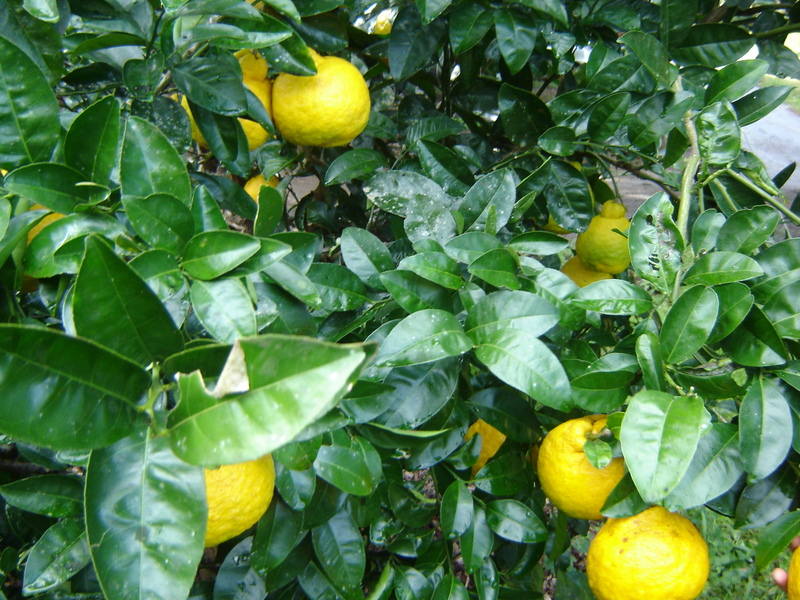 Beautiful lemonades growing in the subtropical winter. When working in pharmacy- I try very hard to persuade people when they come in for cold and flu medications to avoid excessive use and instead work at supporting their immune system to get over the infection. I’m not suggesting that we all be heroes and suffer through our pains… if you don’t want to feel bad or have been feeling bad for long enough and just want a good nights rest- I’ll forgive you. But what you are doing is suppressing the symptoms of the infection- not fighting the infection itself. This means, you are stopping the processes the body has in place to get over the acute phase, and in my experience, using analgesics usually prolongs the duration of the cold. Parents who give their kid medications at the first sign of a temp- are going to have a sick kid for longer, and maybe even more frequently – as the immune system, I believe, hasn’t had a chance to develop, be strong and robust. Also, whenever we mobilze our immune systems due to low grade infections like colds- we are also attending to other, maybe more sinister matters. That white blood cell that is disbatched to deal with your rhinitis, might become alerted that there’s some rogue or unusal cellular growth happening and deal with those as well while they are on a roll… that’s something you can console yourself with next time you’re in bed with a flu… maybe you’re getting stronger and healthier by going through this process- if you support it correctly- maybe it’s like a good clean out. Well, today was pretty ridiculously hot- even now at 9:30 at night, I feel the approach of summer- like a galloping beast. In Lismore NSW (Australia), we are known for the… unique quality of our heat. Stifling is one word for it. In these parts we are at the end of our chickweed season (or at least in my suburban experience, out in the wetter forest-y parts it may be hanging in there). And so, for those in this area, there is no time to delay if you want to feast on chickweed. For others just beginning your real spring warmth, time to find your juicy chickweed patch and start pickin’. The reason I love chickweed, is that it is so humble. It does it’s little thing in the garden, it may mass over a bed like a stringy cob web… but, it doesn’t take much to move it on, pull it out, and it doesn’t last. For the short while it’s around it is an often under-utilised weed that most urban dwellers could do with becoming more acquainted with. Why not get to know some wild plants growing around you and foraging in your yard/neighbourhood, whether you have a garden or not? Or finding a particularly good patch on the way home and picking a bunch? These little daily connections with the earth are good for our sense of the big picture. Big picture leads to perspective. Perspective leads to grain of salt. Grain of salt leads to relaxation. Relaxation leads to joyfulness. So hey, by practicing a bit of urban hunter gatherer-ness, we are de-stressing and improving our inner wellbeing. And we haven’t even eaten it yet! GREAT! Well, most often chickweed is used topically. 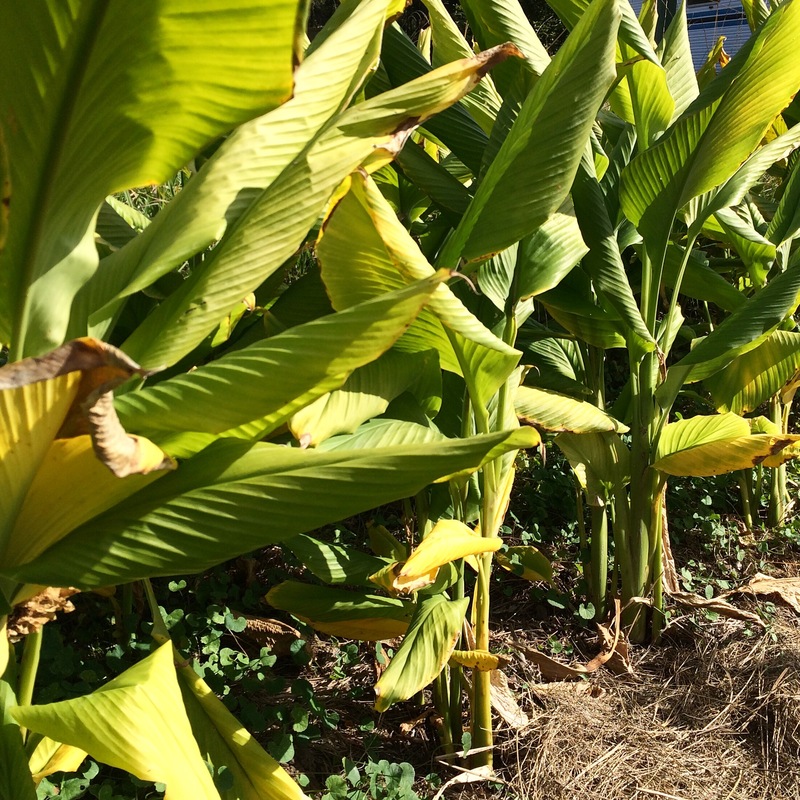 It’s a fantastic healing remedy for the skin and is often applied in a cream or as a poultice for skin conditions such as eczema, psoriasis, urticaria and rashes of chronic nature especially where there is heat… it is a very cooling herb. It is used in first aid for stings, wounds and rashes of acute origin as well, like sunburn/heat rash, allergy/hives as well as boils, ulcers, splinters, cold sores and even chickenpox/measles rashes. As well, it is antibacterial, and helps prevent infections. Get acquainted with chickweed, and let me tell you- NOTHING is more impressive then being able to help some poor stranger with a bee sting by chewing up a blob a chickweed and then applying the green glob to the site of the sting… wow, they’ll be so grateful for your survival skills! … on second thought, perhaps maybe just chew up the chickweed for yourself or a loved one. But seriously, this is actually a quick and easy way to make a poultice for any unbroken skin wound. It is also used as a poultice or compress for eye inflammations, such as conjunctivitis, pinkeye, sties or general sore irritated eyes. In this case I would make a tea of the chickweed, strain it and wet clean muslin cloth in the tea and hold it to the closed eye/ or mash a small amount in warm water and place in a piece of muslin cotton and fold over, so that it looks a bit like a tea bag- then hold over the eye. Alternatively ,the infused oil/ointment of chickweed can be placed around the eye. Avoid getting any of the herb in the eye, of course. When I first learnt about chickweed, I was told it is never to be dried. It is a moisture rich herb and much of it’s medicinal power is in it’s succulent/cooling nature. Take that out of the equation and you really don’t get the magic of chickweed. Kinda like dehydrated watermelon. I’ve actually seen this… I mean, just because you CAN doesn’t mean you SHOULD…right??? Chickweed is the same, it is best fresh. This is probably why it doesn’t have as strong a reputation for it’s internal uses- it’s commercial value is reduced due to the fact that it’s seasonally available and is best used fresh. However, traditional herbal medicine tells us it is used for MANY internal conditions. Again due to it’s cooling nature, it is used generally for internal inflammations. It is used to sooth the mucous lining of the digestive tract and relieves symptoms of wind, colic and constipation. It has a reputation for treating bronchitis and lung infections, though I have never used it in this way personally. It is a diuretic, but both gentle and supportive to the kidney function and is an excellent purifier of the blood. Because of it’s soothing nature, it’s fantastic used in cases of cystitis and urinary tract infection. It has also been touted as a weight loss aid, perhaps through it’s diuretic action. It is used as a tea/gargle in sore throats, mouth inflammations (ulcers/gingivitis) and also in nasal/sinus infections. In this case I would make an steam bath for inhalation. The best way keep it on hand, when out of season, is in oils and creams which are often sold commercially. Or you can make your own. It is also less frequently made in to a tincture/liquid extract. This is one little unassuming herb with a BIG resume… living right under most of our noses…! It is as a food that I enjoy chickweed the most. Again, we keep it in it’s simple fresh state. I would never dream of cooking chickweed, it is perfect raw. It has a gentle flavour that reminds me of snow peas- fresh and green mixed -with the taste of corn silk. Sounds a bit luxurious, right?? It can be used in so many places. 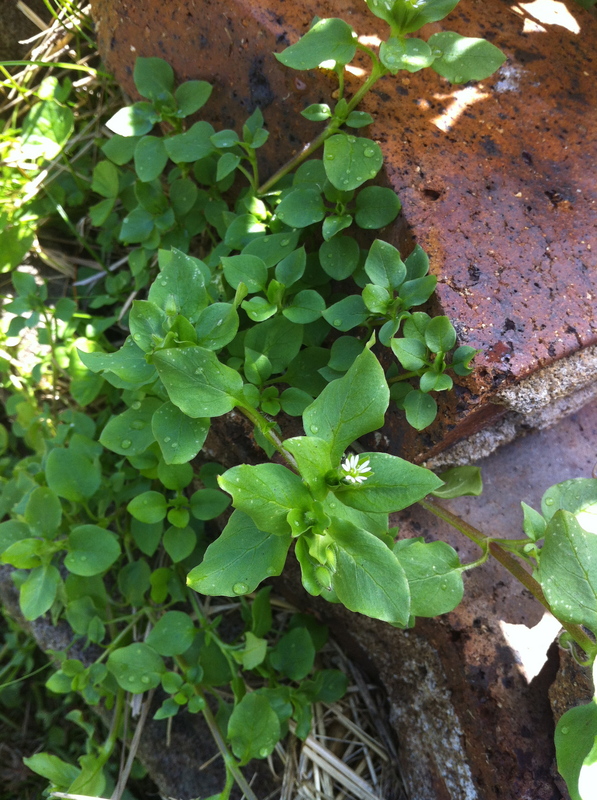 Chickweed in pesto (mixed with rocket, basil) or other dips, added to salads with your mixed greens. It works beautifully in Tabouli or similar grain based salads. As a garnish on the top of cooked foods, or indeed in green smoothies! Chickweed is an excellent source of vitamins A, B complex, C, and rutin (a bioflavonoid), as well as iron, calcium, potassium, phosphorus, zinc, manganese, sodium, copper, and silica. It also contains the fatty acid- gamma-linolenic acid (GLA). Interestingly the medicinal effects of GLA are similar to those of chickweed- it is recommended for a variety of skin problems, female reproductive hormone imbalances, and for arthritis. 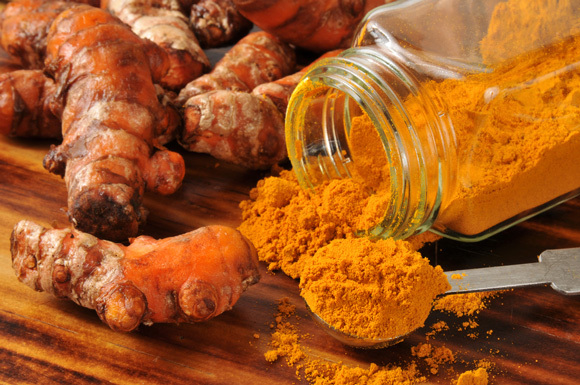 It is powerfully anti-inflammatory, reduces water retention, and acts as tonic for the liver. It is a safe delicious herb full of nutrients and cooling anti-inflammatory effects- however, if you do find a particularly LARGE patch, and decide on going totally ape crazy over chickweed, remember- it is also a mild laxative, yeah? Pace yourself… Get in to the habit of identifying it around your neighbourhood or in your yard-early spring in both the northern and southern hemisphere, and start nibbling on it. Start thinking of it as a food source and a possible medicine. It’s free and it’s everywhere, but only for a limited time… so ACT NOW!